Individuals who planted one acre or more acres of flax. Those growing one acre was awarded a spinning wheels and those growing five acres were awarded a loom. Medieval parochial divisions used for administrative purposes. The Civil Parishes are the basic geographical units used for the Griffiths Valuation (1851-52), Tithe Applotment (1823-38), tax records, censuses, etc. 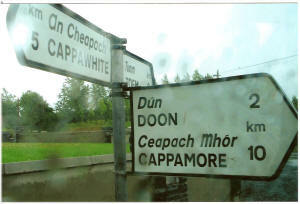 They have about the same boundaries as the parishes for the Church of Ireland but different from the parishes of the Catholic Church. 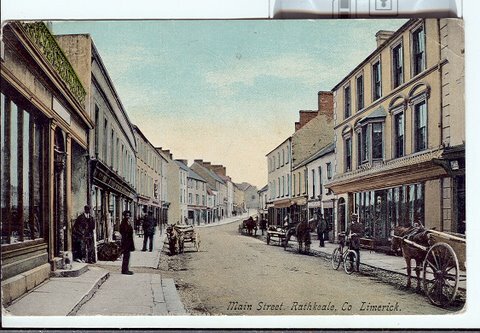 This link contains all the civil parishes in County Limerick, their Catholic parishes with links and dates that baptism and marriage records are available. 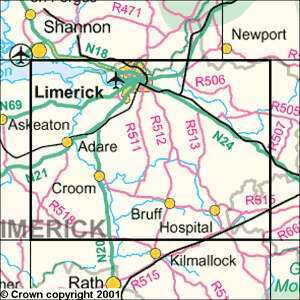 This is a must link for doing genealogical research in County Limerick. Kilflynn Church & Cemetery, plus Kilmallock Town, Glenosheen, etc. The following pictures are of a cemetery just outside of the Limerick border and some Limerick names are listed. Various Cemetery Inscriptions, from Rathkeale, Ballingarry, Mungret, etc.